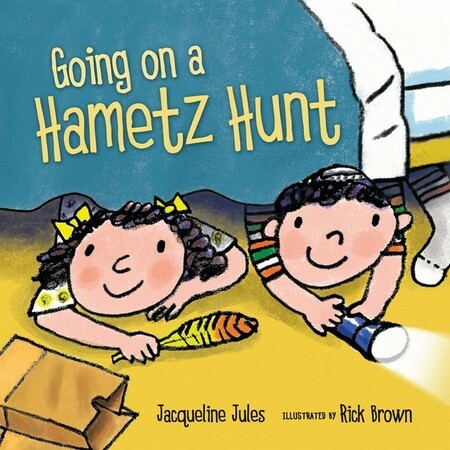 Little readers will have fun counting and rhyming with a brother and sister in Kar-Ben s new board book Going on a Hametz Hunt, as they look for breadcrumbs in a favorite kids tradition before the start of the Passover holiday. Award-winning author Jacqueline Jules combines rhyme, counting, and a popular Jewish children s activity for Passover. Cheery illustrations by Rick Brown compliment the simple text.